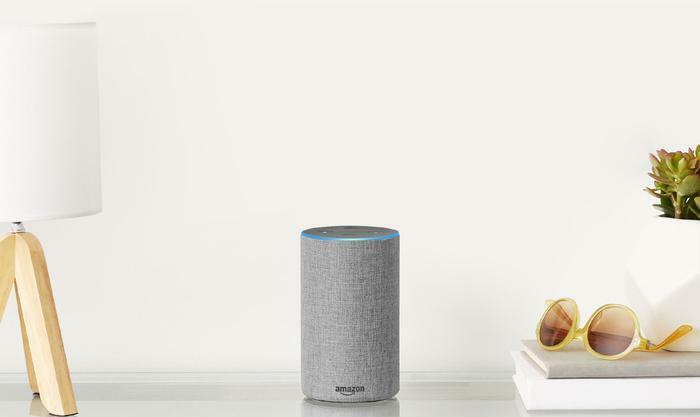 With both Amazon’s Echo range and the Google Home competing for prime real estate in the burgeoning smart speaker market, we put the two head-to-head to see which is more capable. These days, thanks to both the Alexa Skills and Assistant Apps platforms, both smart speakers can do a lot of the same things. However, that’s not to say that there aren’t areas where each has a clear advantage. We ran both assistants - running on the regular Google Home and the Amazon Echo - through a gauntlet of tests and tasks to see how it all shakes out. Alexa: Alexa gives news updates through the “what’s in the news” command. From there, the speaker will read you a short news bulletin - called a Flash Briefing - of stories based on your default or customized news sources. Google Assistant: The Google Assistant delivers news updates through the dedicated “what’s in the news” command and also as part of the more-general “tell me about my day” command. At least for now, the Google appears to offer up a better experience here. While the library of available news sources is not as comprehensive as it maybe could be, it’s currently head-and-shoulders above its Amazon-branded counterpart. As far as local news goes, Alexa can pull from the ABC, SBS, Sky, Fox Sports, The Australian, Seven and Ten. 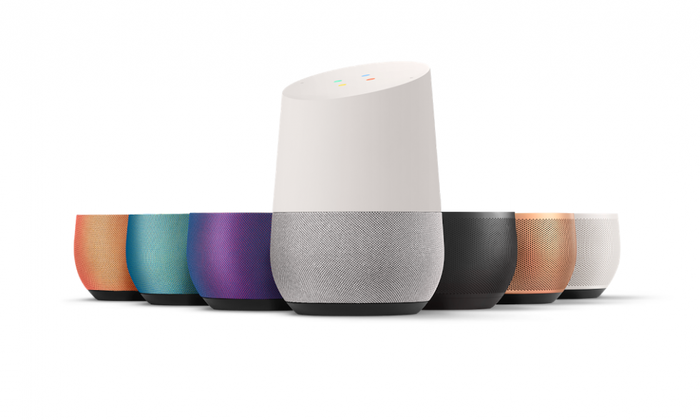 In contrast, the Google Home app allows you to hear news from most of these same outlets, plus more-localized news sources like NT News, the Geelong Advertiser, Herald Sun, The Mercury and more. Alexa: When it comes to streaming services, Alexa supports Amazon’s own Prime Music Unlimited, Spotify (both free and premium account), TuneIn and iHeart Radio. Playing music is as simple as telling Alexa what song, album or playlist you want to listen to. Podcasts are also supported, as are audiobooks on Amazon’s Audible storefront. Google Assistant: When it comes to streaming services, the Google Assistant supports Google Play Music (both Free and Premium), YouTube Music, Spotify (both free and premium), TuneIn and iHeart Radio. As with Alexa, playing music is as simple as telling the Assistant the name of song, album or playlist you want to listen to. Podcasts are also supported. Declaring a winner here is particularly tricky because this one really does come down to both which smart speaker you buy and how you like to listen to your music. If you’re already a Google Music subscriber and keen to keep it that way, the value you’re going to get from Alexa here is going to suffer. Vice-versa for Amazon Music Unlimited users. 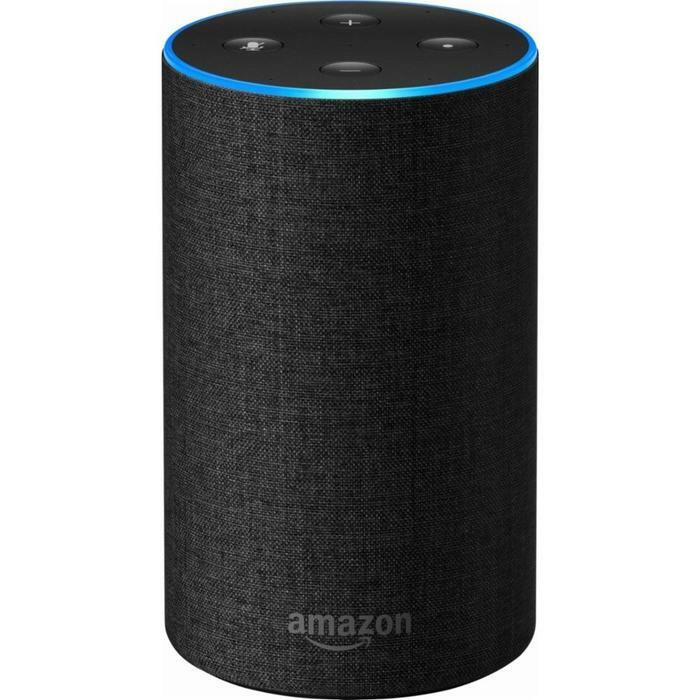 Still, we’re going to give this one to Alexa. 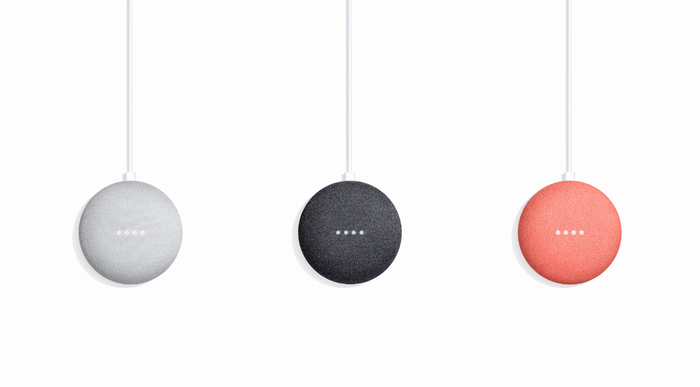 Regardless of which Echo device you buy, you’re able to hook it up to an existing speaker and achieve a better listening experience that way - which isn’t an option you get with any of the currently-available Google Home hardware. Alexa: Rejoice! 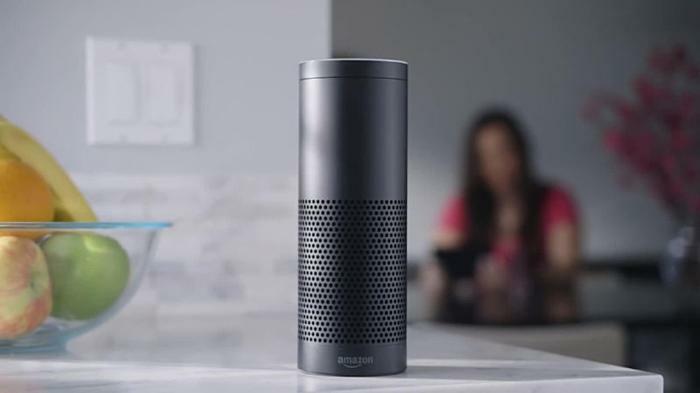 Even this close to launch, Australian users of Amazon Alexa can order pizza using just their voice and the Dominos Alexa Skill. Once activated and connected to an active Dominos account, you can summon this decadent and greasy dish by simply saying "Alexa, ask Dominos to order my usual." Unfortunately, if your local pizza shop is a Pizza Hut or Eagle Boys then you’re out of luck. At least, for now. Google Assistant: When it comes voice-based pizza options, the Google is sorely lacking. We only managed to find one pizza deliver app - and it was for a place in San Francisco. Poor form, Google. While your mileage is going to vary based on your preference when it comes to takeout pizza brands, Alexa does have an edge here. That said, there’s obviously a lot of room for improvement, as you can currently only make an order that has been preset using the Dominos website. Hopefully, future software updates will see both Alexa and Google Home owners gain the ability to order new and exciting takeout using their voice. Truly, lazy take-out dinners will never be the same. Alexa: When it comes to consulting your calendar, Amazon’s Alexa voice assistant is as intuitive as these things come. You can ask it "When is my next event?" or "What's on my calendar?” to see what’s coming up. You can also add or delete event and schedule a meeting with someone. Google Assistant: Like Alexa, you can ask for a run through of upcoming appointments in a given day or week. You can add new appointments using your voice and you can even ask it when or where a certain event or appointment is. Unfortunately, the Google Assistant currently only supports integration with the Google Calendar attached to the Google account used to set up the assistant. We’re going to give Amazon Alexa the point here. While both assistants do a great job of integrating with your calendar, Alexa’s extra functionality and compatibility make it just that little bit easier to recommend. 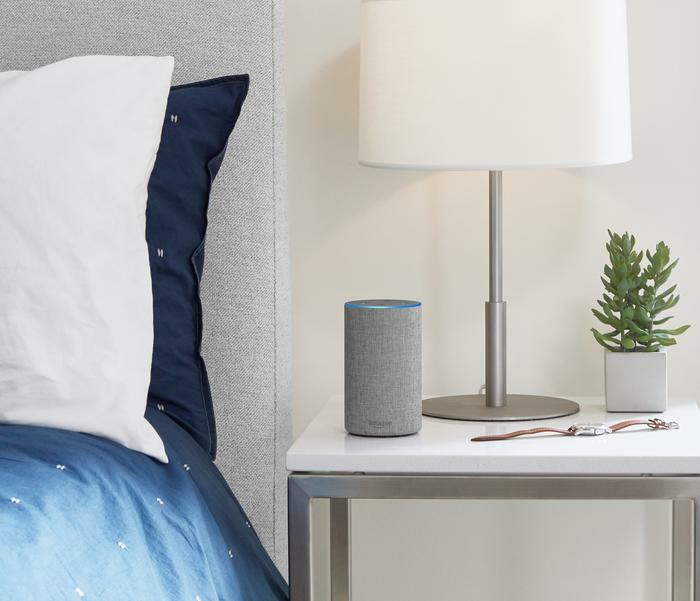 Alexa: While the ability to make online purchases using your voice has proved extremely popular among other markets, this feature isn't currently supported in Australia. Speaking to the Sydney Morning Herald, senior vice president for devices and services David Limp told the paper that the ability to place shopping orders directly with Amazon's new Australian online store will come "in the course of time". For now, Alexa can only check on the status of deliveries. Google Assistant: Luckily for Amazon, the Google Assistant’s equivalent feature - called Google Express - is also missing in action. There’s no timeline on when, if ever, this feature will come to Australian users. We’re going to call this one a tie, as both parties have been effectively neutralized by the harsh realities of Australian shipping logistics. Alexa: Alexa can tell you when the next train or bus to wherever is using the Transport RITA Alexa Skill. In practice, this works pretty well. However, asking Alexa to “Talk to Transport RITA” doesn’t quite roll off the tongue as naturally as it could. Google Assistant: Using the same software powering Google Maps, the Google Assistant is really fast and effective when it comes to getting details on your morning commute. Whether you’re driving or catching public transport, it’ll give you a quick, informative overview of how long the journey will take and even provide suggestions for how soon you should leave the house. Google is a clear winner here. It’s both more naturalistic, more informative and more reliable than Alexa is. Alexa: As a base-line, you can find out movie times by asking Alexa “what movies are playing nearby”. It’ll then offer you a list of cinemas and then read out show-times for the chosen movie. At the time of writing, there are also Alexa Skills available for both Hoyts and Village cinemas. Using these, you can ask for local cinema times and showings. All it takes is commands like "Alexa, ask Hoyts when is Star Wars showing?" and "Alexa, ask Village Cinemas what's on tonight?” Unfortunately, there’s no Alexa skill for Event Cinemas as of yet. At the time of writing, there are no dedicated cinema apps for Australia. While, functionality, it is a pretty close-call between these two, we’re going to give Alexa this one on account of the extra chain-specific Alexa Skills involved. Even if there’s not a huge amount that these skills offer compared to Google’s own capabilities, the ability to potentially cut out a handful of steps and get straight to the showtimes using might make it a better fit - depending on where your proximity to a Hoyts or Village cinema. Alexa: At a baseline, you can always connect a smart plug to your TV and then use Alexa to turn your TV on. However, in the future, the line between Alexa and your TV is set to become thinner than ever. At the time of writing, LG, Sony and Hisense have all announced plans to ship TVs in 2018 that arrive with Alexa built in. No word yet on whether these exact SKUs will make the jump from the US market to the Australian one. Google Assistant: If you’ve got a TV with HDMI-CEC connectivity and a Chromecast plugged into it, you can already turn it on and off using your voice. You can also call up specific content from Netflix or Youtube using the Google Assistant. Unfortunately, this feature doesn’t work with TVs that come with built-in Chromecast at present - which is a notable weakness. It’s pretty clear that TV integration with both voice assistants has a long way to go before it lives up its fullest potential. Still, we’re going to side with Google here. Adding Alexa-integration to your current TV isn’t quite as easy as buying a Chromecast is, and the ability to control Netflix with your voice does amount of a neat little bit of genuine utility. Alexa: At present, Alexa can interact with two major Australian energy providers: AGL and Energy Australia. When it comes to the latter, the best Alexa can do is check your current account balance and the due date for your next. AGL customers have access to the same features. However, if you own a smart meter, you’re also able to get an estimate of their current and projected electricity costs for their next bill. Google Assistant: At the time of writing, the Google Assistant has no Australian energy provider apps available. As a result, it’s hard not to declare Amazon the victor on this particular front. Alexa: One of the neater discoveries of the smart assistant experience has been how surprisingly useful they become in the kitchen. For many, this journey might start with controlling music hands-free. However, this utility quickly rolls into a whole bunch of other things like easy conversions and voice-controlled timers. In the US, there is an Allrecipes Alexa Skill that allows you to pull from over 60,000 different recipes. Unfortunately, in Australia, this particular Alexa Skill has yet to make the jump. At the time of writing, there are a few similar Alexa Skills available but nothing quite as comprehensive or intuitive as the Allrecipes one. Regardless, with more and more connected appliances with Alexa functionality make their way to market, Alexa’s utility in the kitchen is only going to grow. There are already coffee machines out there that allow you to make a coffee by simply Alexa you want one. Unfortunately, the compatibility with these appliances with the Australian version of Alexa here is difficult to confirm and likely to be a case-by-case matter for the vendors involved. 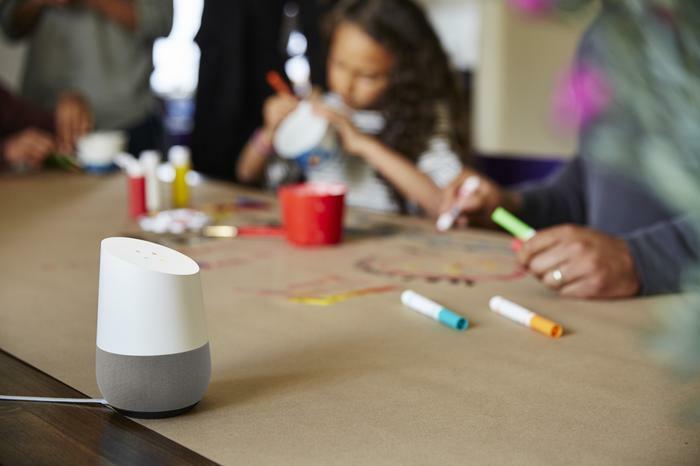 Google Assistant: As with Alexa, the Google Assistant is great for hands-free music, timers and measurement conversions in the kitchen. However, unlike Alexa, the Google Assistant is significantly better at surfacing up recipes for you to follow. You can simply ask it “how do I cook X” and it will talk you through the process step-by-step. It’s brilliant stuff - and there’s no fiddling around with third-party apps involved. However, when it comes to appliances, it is again very much case-by-case. With more accessible and native recipe-reading capabilities, we’re going to give this one to the Google Assistant. Alexa: At present, there are skills for both NAB and Westpac customers. Simply by asking "Alexa, ask Westpac how much money I have in my savings account,” and so on you can find out your current bank account balance, transaction history and reward points status. It’s more or less the same story with NAB. Unfortunately, at the moment, customers of other banks like Commonwealth or ANZ are out of luck. 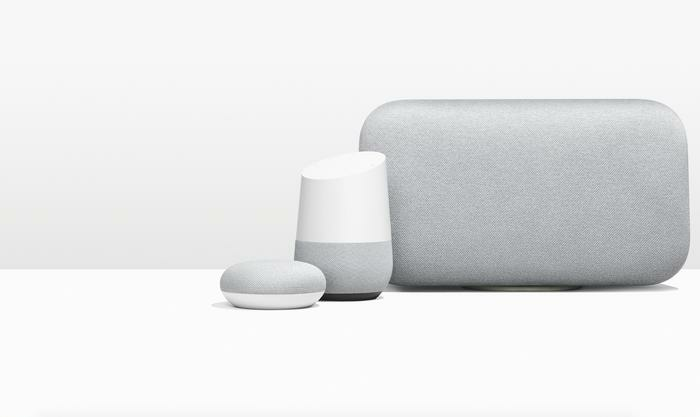 Google Assistant: Currently, NAB is the only major Australian bank offering Google Assistant integration with an App called Talk to NAB. While accessing this app itself is pretty intuitive - like the name suggests, you just tell Google to talk to NAB - it’s also very limited. You can ask for customer-service type information about applying for an account or what to do if you lose you card. However, you can’t really check your balance or anything like that. When it comes to checking your bank balance, Alexa is a clear winner. At least, for now - and depending on your banking institution of choice. You will have to manually set your destination using the Uber app on your phone, however. Google Assistant: In the US, you can easily link up your Google and Uber accounts and request a pickup at your current location using your voice. Unfortunately, this feature has not yet made it to Australia. At present, Alexa is ahead when it comes to this category. Alexa: We tried out Alexa’s promised easy integration with both the Philips Hue smart lights and their LIFX counterparts. With the former, Alexa and Amazon delivered a borderline magically easy setup experience. We literally told Alexa to discover nearby devices and it picked up the HUE bulb in seconds, adding it to the smart home section of the Alexa app where it could easily controlled. The setup process for the LIFX bulb was a little more involved. We had required us to link Alexa to our LIFX account. However, all things considered, this was not a particularly taxing process to go through. Google Assistant: Adding lights to our Google Assistant was about as straightforward. We had to install the relevant app. Open up the Home Control section of the the Google Home app and then follow the steps from there. On this count, it really does depend which model of Alexa-powered you go with, as the Echo Plus boasts an integrated ZigBee hub - potentially making it a better fit for smart home focused users. Still, even beyond that, Alexa’s Discover function does give it a definable edge here. The only reasonable and fair way to gauge the question-answering abilities of either smart assistant here is to play a quick game of Twenty Questions and record how each assistant answered - so that’s exactly what we did. Note - There's no strict marking criteria to the questions here. I literally pulled twenty queries that I felt like I'd get at least some kind of answer for. In addition - it's not just about whether the answers they gave were correct, but also whether they understood the question enough to provide the kind of response I was looking for. The idea here isn't to provide a scientifically-accurate measure of how 'smart' each of these assistants is but instead to showcase their ability to answer the kind of everyday questions that most users might throw at them. Who is the director of the Black Panther movie? “Black Panther’s director is Ryan Coogler.” Correct. Who was the last Prime Minister of Australia? “The last Prime Minister of Australia was Tony Abbott.” Correct - though it does depend on your definition of ‘last’. How many books are there in A Song of Ice and Fire? “Seven Books are the sections of A Song of Ice and Fire.” This is technically correct but very clunky in terms of how Alexa has phrased it. How much RAM is there in the Samsung Galaxy S8? “I don’t know that.” Not the answer we were looking for. How many bits in a byte? “There are eight bits in one byte.” Correct. What is quantum computing? “Quantum computing is computing using quantum-mechanical phenomena, such as superposition and entanglement.” Correct. Is a plastic container microwave safe? “Sorry, I don’t know that.” Not quite the answer we were looking for. Who was the star of Malcolm the Middle? “Sorry, I’m not sure about that” Not quite the answer we were looking for. What is the difference between waterproof and water resistant? “A raincoat or slicker is a waterproof or water-resistant coat worn to protect the body from rain.” This was pulled from Wikipedia. Again, a bit clunky and not really a satisfactory answer. What is the population of Tasmania? “The population of Tasmania about 512,000.” This isn’t too far off the mark. According to the ABS, the population of Tassie is 519,166 as of 2017. What events are taking place at the Winter Olympic Games today? “Sorry, I don’t know that." Not quite the answer we were looking for. How much sugar should I put in my coffee? “Sorry, I don’t know that.” Not quite the answer we were looking for. How much will it cost to fly to Melbourne? “Sorry, I’m not sure.” Not the answer we were looking for. Who wrote the song ‘Gold on the Ceiling’? “Gold on the Ceiling’s authors are Brian Burton, Dan Auerbach and Patrick Carney”. Correct. How much sunscreen should I wear when I go to the beach? “Hmm, I’m not sure.” Not quite the answer we were looking for. How do I fix a broken lamp? “Sorry, I don’t know that.” Not quite the answer we were looking for. When is the new season of Jessica Jones due to start? “Sorry, I don’t know that one.” Not quite the answer we were looking for. Will peanut butter help my sore throat? “Sorry, I don’t know that one.” Not quite the answer we were looking for. What is Microsoft’s smart speaker called? 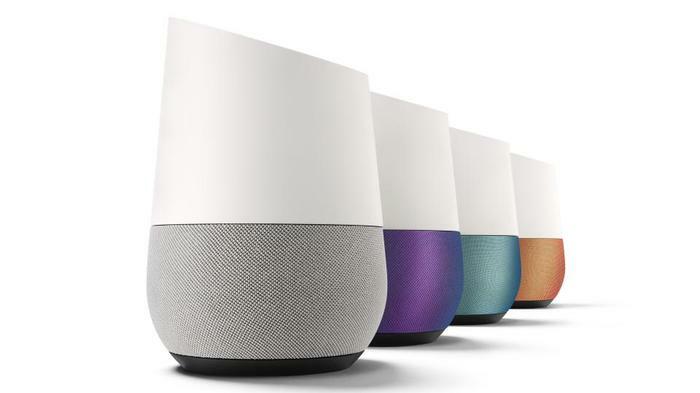 “Here’s something I found on Wikipedia: a smart speaker is a type of wireless speaker and voice command device with an integrated virtual assistant….” Not quite the answer we were looking for. Who won the 2015 Oscar for Best Picture? “Birdman or the Unexpected Virtue of Ignorance won Best Picture in 2015.” Correct. Who is the director of the Black Panther movie? “Black Panther was directed by Ryan Coogler.” Correct. Who was the last Prime Minister of Australia? “Malcolm Turnbull is the Prime Minister of Australia.” Not quite correct. That said, it’s interesting that Google has interpreted our use of the word ‘last' here in a different way than Alexa. How many books are there in A Song of Ice and Fire? “Fourteen. A song of Ice and Fire includes a Game of Thrones, A Clash of Kings, A Storm of Swords and other books.” Like Alexa, this is a pretty loose answer, as it seems to include the various reprints of the books. How much RAM is there in the Samsung Galaxy S8? “On the website Techaradar.com they say, Samsung is issuing a special version of the Galaxy S8 that upgrades the memory from 4GB to 6GB and doubles the storage space from 64GB to a roomy 128GB, according to a report from ETNews.” Although a bit roundabout, this does satisfactorily answer the question. How many bits in a byte? “One byte equals eight bits.” Correct. What is quantum computing? “According to Wikipedia, Quantum computing is computing using quantum-mechanical phenomena, such as superposition and entanglement.” Correct. Is a plastic container microwave safe? “On the website, health.harvard.edu, they say: Most takeout containers, water bottles and plastic tubs or jars made to hold margarine, yogurt, whipped topping and food such as cream cheese, mayonnaise and mustard are not microwave safe.” Correct. Who was the star of Malcolm the Middle? “The cast of the Malcolm in the Middle includes Frankie Munez, Bryan Cranston and 24 others.” A bit of a shotgun-approach to the question, but we’ll award the point anyway. What is the difference between waterproof and water resistant? “On the website hzo.com, they say: Water resistant - able to resist the penetration of water to some degree but not entirely. Water repellent: not easily penetrated by water, especially as a result of being treated for such a purpose with surface coating. Waterproof - Impervious to water.” Correct. What is the population of Tasmania? “The population of Tasmania was 514,000 as of September 2014.” Correct. Though, like Alexa, it uses statistics that are a little bit out of date. What events are taking place at the Winter Olympic Games today? “I found 8 on the website olympic.org. Here are the first 3. Alpine Skiing, Biathlon and Bobsleigh.” Correct. How much sugar should I put in my coffee? “On the website Coffee.StackExchange.com, they say: For any amount of pure coffee, you can put 39 grams of sugar or nearly 10 teaspoons of sugar as coffee has no sugar in it. 30ml is a standard espresso size so to be equivalent per ml of liquid you would need to put 3.1 grams of sugar which is less than a teaspoon.” Given that Google has pulled its response here from a StackExchange thread on how much sugar you’d need to put in coffee to make it as unhealthy as coke, this is not quite the answer we were after. How much will it cost to fly to Melbourne? “Upcoming round-trip flights from Sydney to Melbourne start at $89 dollars, did you have any dates in mind?” Correct. Who wrote the song ‘Gold on the Ceiling’? “Gold on the Ceiling was composed by Dan Aurebach, Danger Mouse and Patrick Carney.” Correct. Note that Google has used Brian Burton’s stage name too. How much sunscreen should I wear when I go to the beach? “Sorry, I can’t help with that yet.” Not quite the answer we were looking for. How do I fix a broken lamp? “My apologies, I don’t understand.” Not quite the answer we were looking for. When is the new season of Jessica Jones due to start? “Sorry, I can’t help with that yet.” Not quite the answer we were looking for. Will peanut butter help my sore throat? “Here’s a summary from the website Remedygrove.com, they say: Who knew that peanut butter would actually be good for sore throats. But to the surprise of many, it is. Try a spoonful and you’re bound to feel better.” This doesn’t exactly sound scientifically robust but we’ll give Google the point. What is Microsoft’s smart speaker called? “Sorry, I don’t understand.” Not quite the answer we were looking for. Who won the 2015 Oscar for Best Picture? “The 2015 Academy Award for Best Picture is Birdman.” Correct. While Google clearly comes away the winner here, the above comparison does a good job of showing both how far smart assistants have come and how far they still have to go. To some questions, both assistants gave surprisingly informative and helpful answers. To others, they had no idea how to respond. Regardless, it’s clear that Google ability to leverage its search-engine algorithms here does make it a knowledgeable and detailed in the responses it provides - even if that capability doesn’t always work as intended. Still, we’re going to give it the point. Which is better - Google Assistant or Amazon Alexa? If nothing else, the comparisons we’ve done above showcase that while some of the things that you can do with both of these voice assistants are genuinely brilliant and useful, there are plenty of fronts where further improvement is needed to bring them in line with their potential. Now, this might sound like a bit of a cop-out but, realistically, throwing those two numbers against one another doesn’t really tell the full story here. 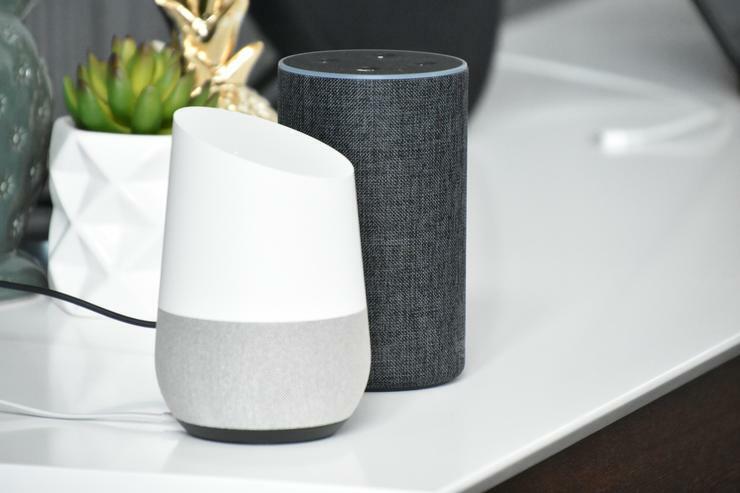 Not every one of the features we compared for the two smart assistants is going to matter equally to you - or any individual who uses these devices. The Google Assistant’s ability to give you an easier estimate of your commute time isn’t necessarily going to be worth the same level of utility as Alexa’s more intuitive smart home capabilities. It’s very much an "Apples and Oranges" type of situation. Still, with any luck, reading this article has probably given you some idea of what to expect from each assistant and in which areas they shine. Of course, the most exciting part to all this is that both Alexa and the Google Assistant are still learning. And things are only going to get better from here.